Inixsoft and JM Studios have released game information for Thanatos: The Dragon Chaser, and have also announced its “pre-open” event. 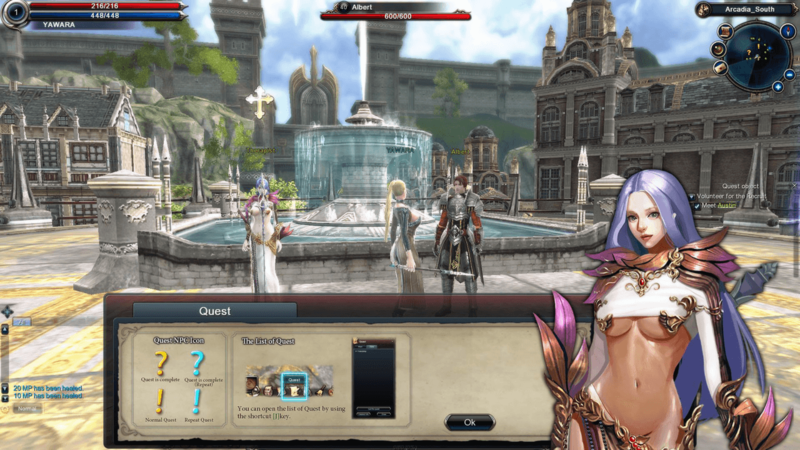 Thanatos was designed to be a low-stress MMORPG experience that even new players can get used to. This means that almost every system has been designed to be automatic, including hunting, path finding, and early-level character building. Thanatos was also designed to be playable on less powerful graphics. In order to keep the excitement high, Thanatos offers skills that have significant impact as you fight enemies, splattering blood and shaking the screen. Players will also find a power struggle between royalty and theocracy, two power groups with their own class structures and reward systems. Thanatos also offers a card collection system (which offer additional skills and buffs) and a pet system (which allows pets to act on their own and serve as party members). Thanatos’ prelaunch mega-event will be open on September 9, and offers multiple events including rewards for inviting your friends to play the game, rewards for all new players, exclusive rewards for players leveling up throughout the game, and additional rewards. More information can be found here.